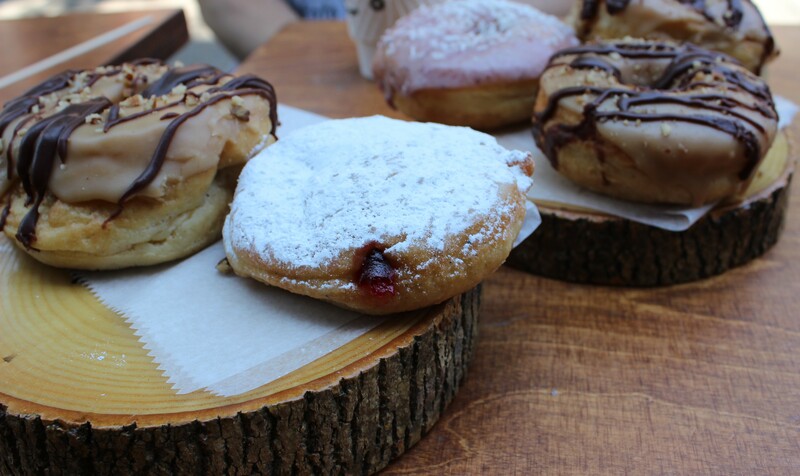 They had a great fluffy texture that had just the right amount of sweetness and their doughnuts continually change so you can try a variety of unique flavors every time you stop in. 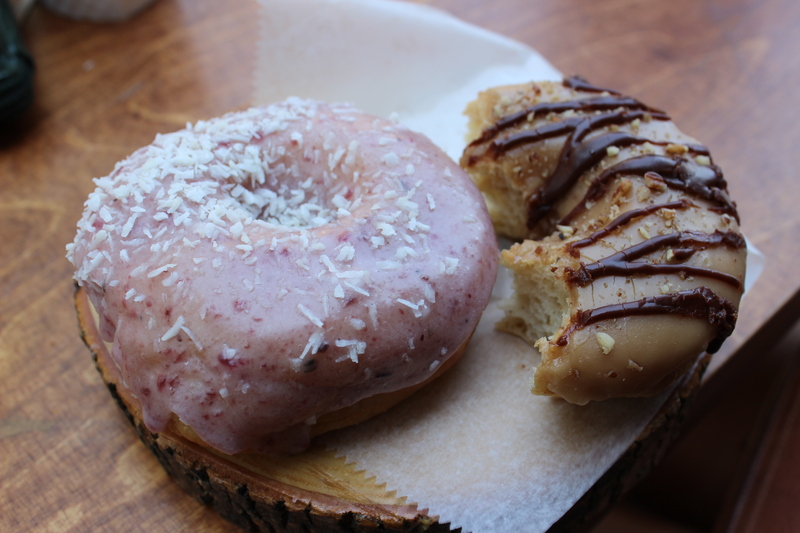 This time a group of us got Maple Chocolate Almond, Blueberry Coconut and Powdered Jelly. 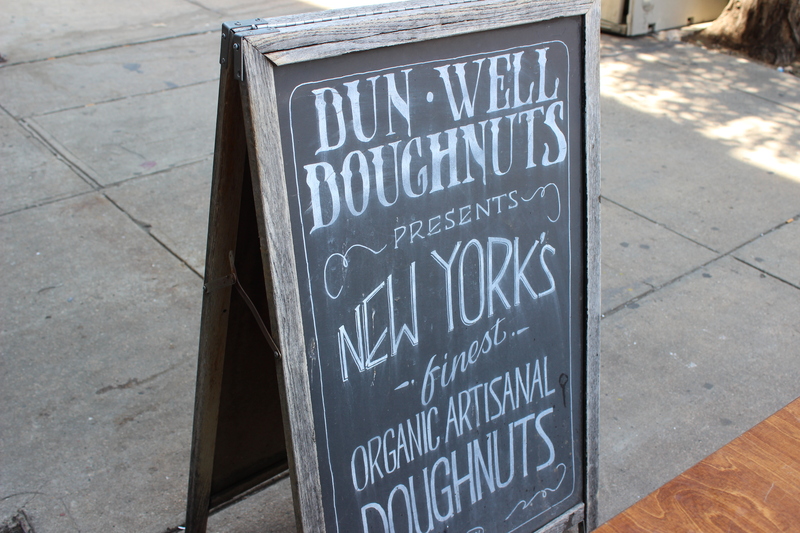 We aren’t vegan, but all these flavors were really delicious and we could not tell the difference between Dun-Well’s doughnuts and their non-vegan counterparts. 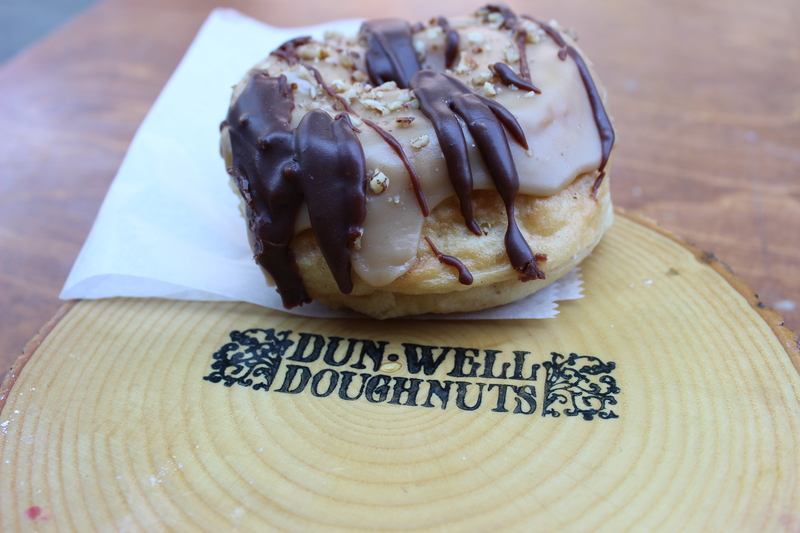 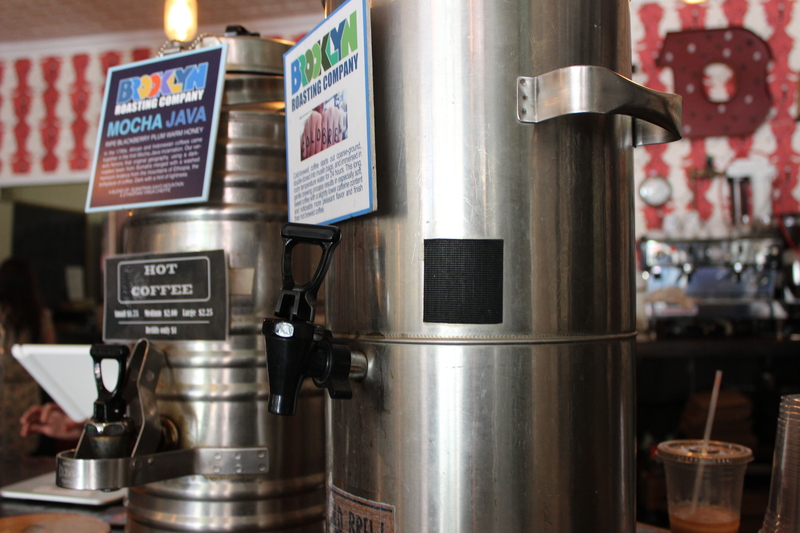 Having been to a few other doughnut shops in the city we noticed that Dun-Well’s doughnuts feel much lighter, which makes them seem healthier. 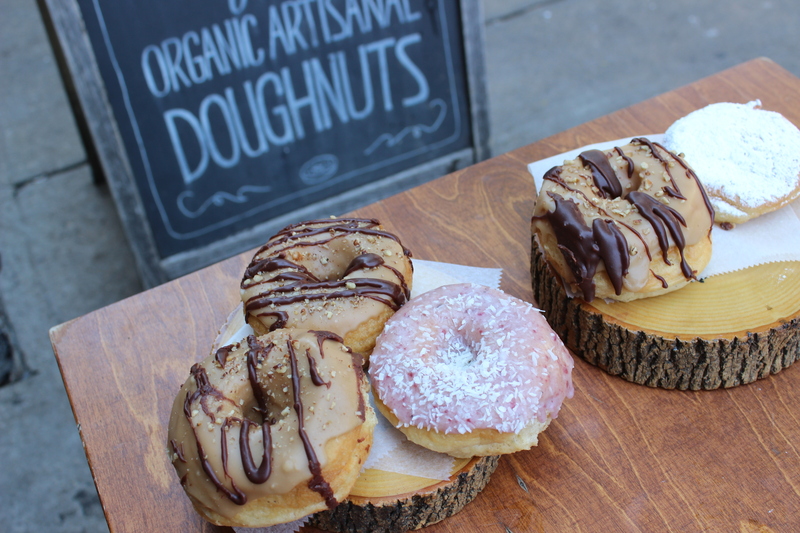 Well, as healthy as doughnuts get anyways. 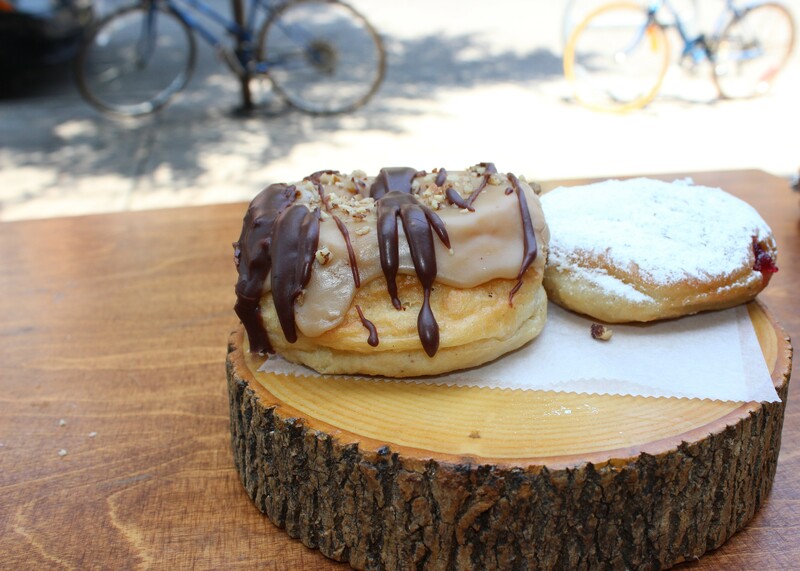 Places like Dough have more of a fried dough texture, which is equally delectable, but is discernibly a cheat day treat. 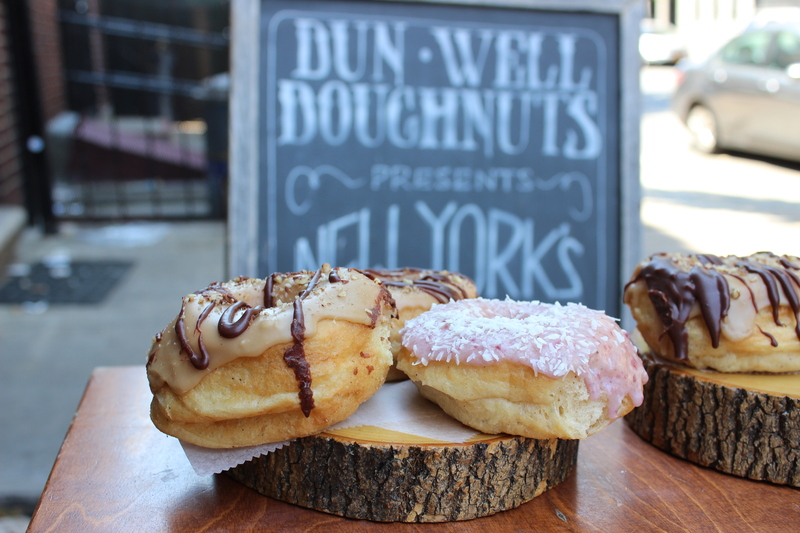 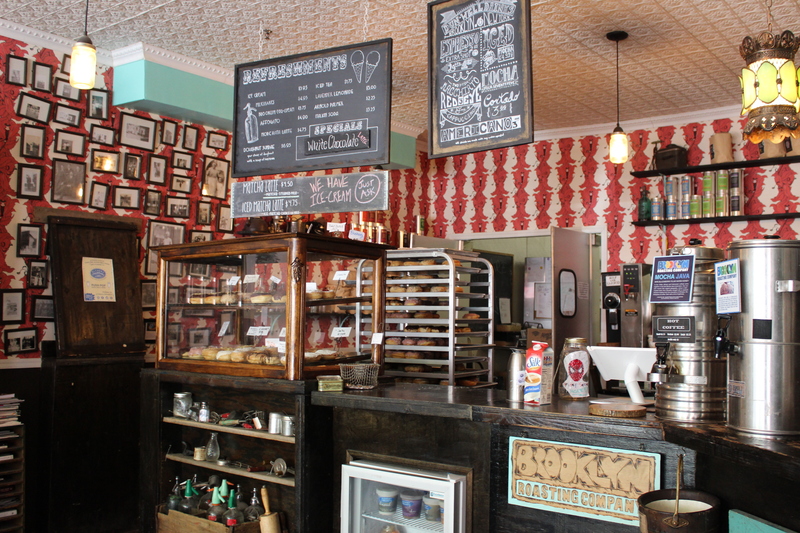 So, if you’re not a huge dessert person you may prefer Dun-Well’s doughnuts. 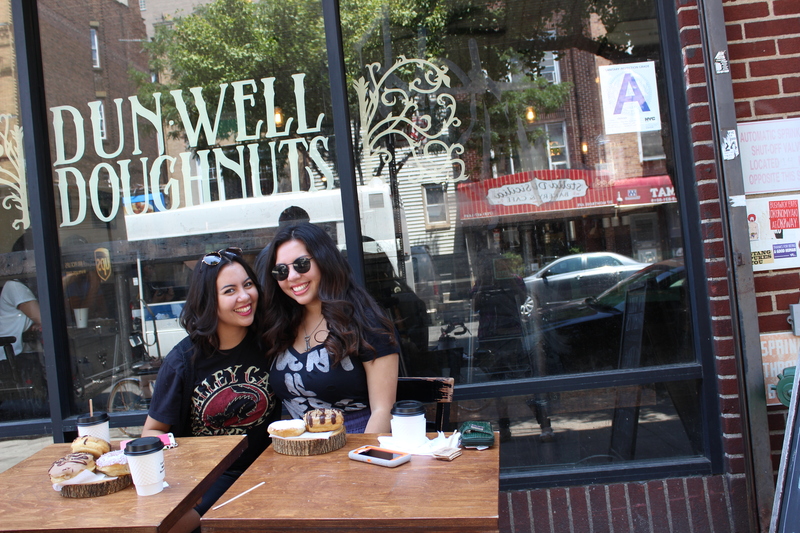 By the time we had finished our plates, or rather slabs of wood, we decided Dun-Well Doughnuts is definitely going in our top NYC artisanal doughnut list.